Judging by the amount of leaks so far, very few details are left for the Samsung Galaxy S8 and Galaxy S8+. The devices are a regular feature of the rumor mill. Courtesy of a plethora of information which has surfaced so far, the Galaxy S8 and S8+ will be great incremental upgrades. Samsung will improve their design, aesthetics, display, performance and other details. Today, we’ve got some more details for the Galaxy S8+. Take a look below to find out more. A little over a week is left until Samsung launches the Galaxy S8 and Galaxy S8+. There’s little left for the Korean tech giant to unveil. Taking a look at the amount of information that has surfaced, the only thing that Samsung will do by the end of this month is fulfill the formality of a product launch. And the company’s got a lot of work to do as well. It’s failure with the Galaxy Note7 that didn’t bode well for brand reputation or the balance sheet. 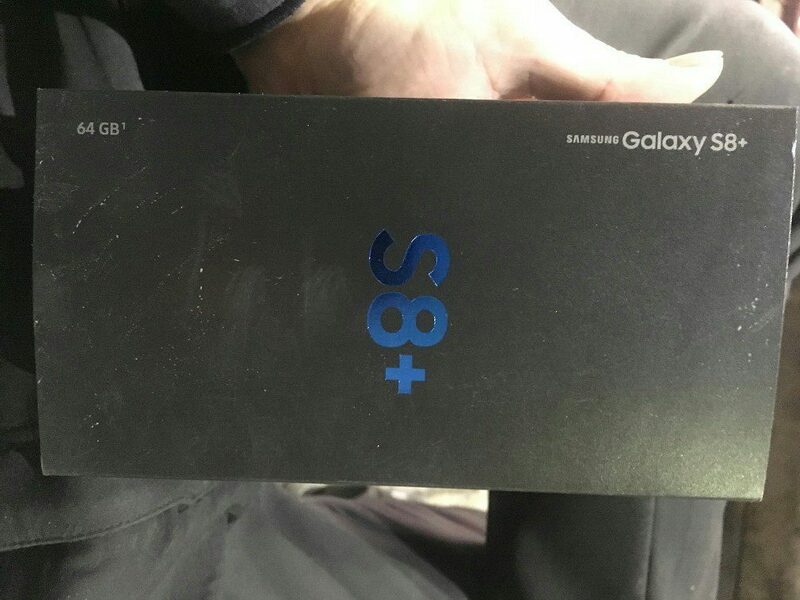 Today, the retail box for the Samsung Galaxy S8+ has surfaced online. It’s for the Verizon version of the device and we get to take a look at what to expect when devices finally start to deliver next month. 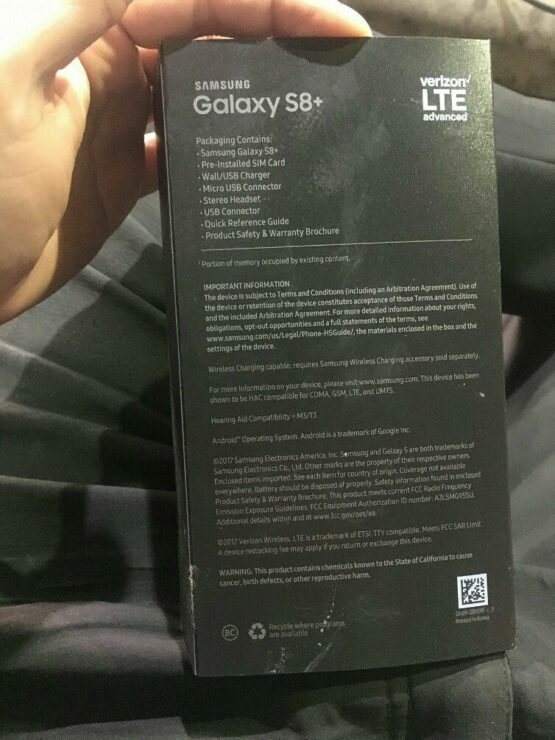 So if you’re eager to get your hands on the Galaxy S8+ and wondering what the device’s box will look like, wonder no more and take a look at the images below. Taking a close look, the images also reveal what will be inside the box. The Samsung Galaxy S8+ will be coupled with a lot of accessories. You’ll get a pre-installed SIM card, a USB wall charger, a micro USB connector, a standard USB connector and a stereo headset. Pretty much what you’d expect from a standard flagship smartphone. The device will also support wireless charging, but the accessory will have to be purchased separately. Price tag for the Galaxy S8+ will exceed $800. Given the amount of features that Samsung will load the smartphone with, such a cost is hardly a surprise. But, to make sure that you get your money’s worth, the Korean tech giant is rumored to provide a three-month unconditional return policy with the device. That’s a great move, which will also help erase the infamy gained via the Note7’s disaster.